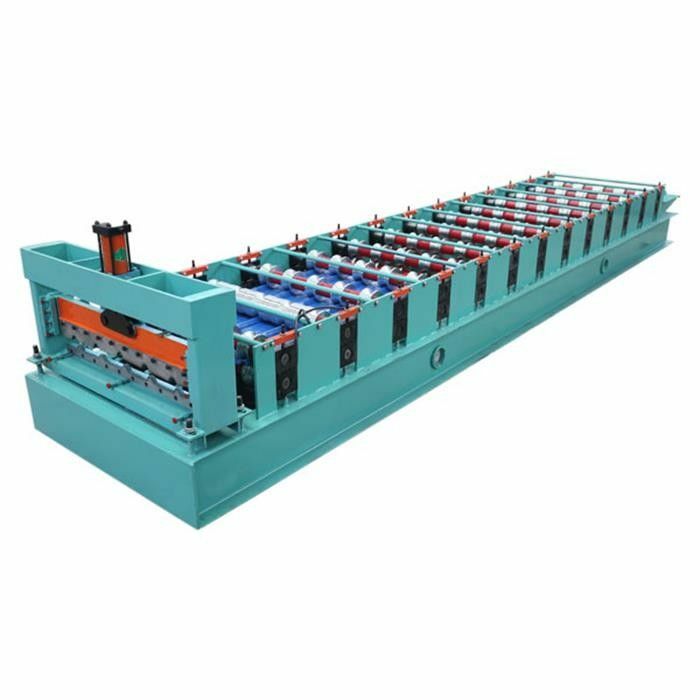 Roll forming machine consist of uncoiler ,coiler sheet guiding device,main roll forming system ,cutting device, Hydraulic station ,PLC control system and support table. 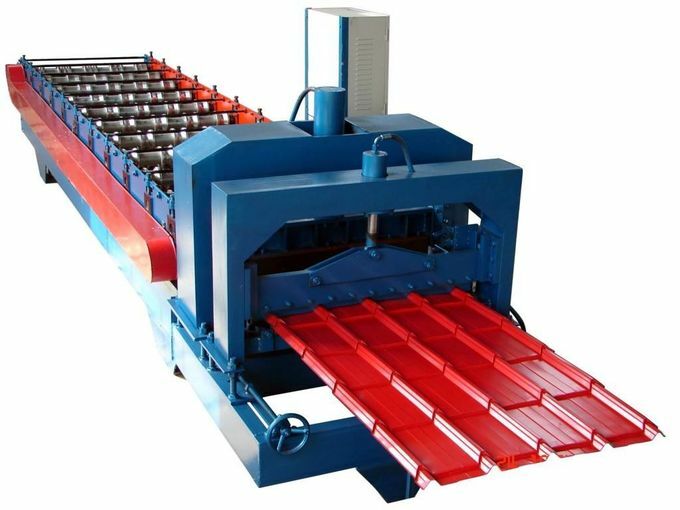 5.One machine can produce normal roofing sheet and also can produce glazed tile . 1. 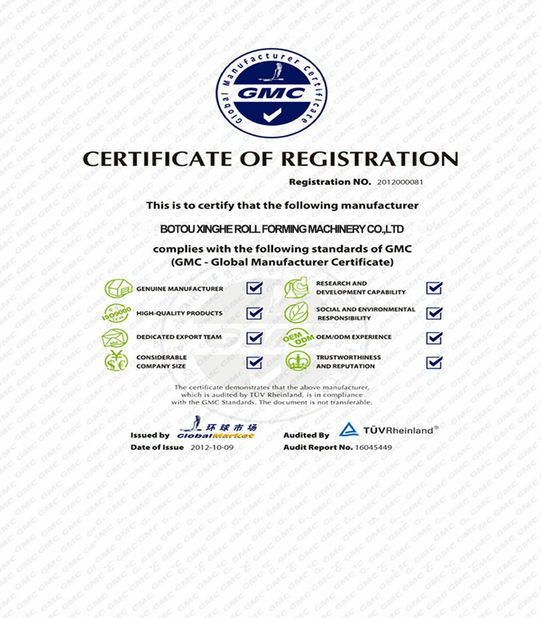 With one year guarantee, and the good after-sale service. We can arrange our worker to your country for the installation or we can record the whole process of the installation for your reference. 2. As per your special requirements which are also welcome to discuss. 1. 30% T/T in advance, 70% payable against the copy of the B/L. 2. L/C is also acceptable. 3. As per your special requirements which are also welcome to discuss. 1. More than 80 workers. 2. With the occupying area of 8000 square meters. 3. 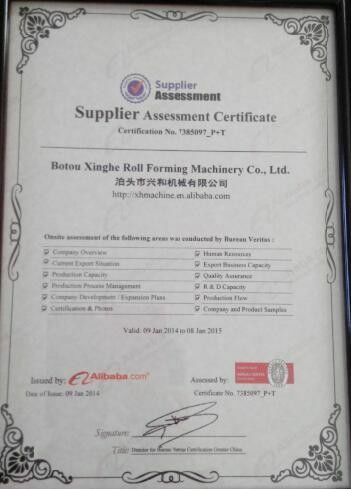 Competitive price and high quality. 6. 12 months free warranty.